The Bharatiya Janata Party on 24 April filed a police complaint against West Bengal Chief Minister and Trinamool Congress supremo Mamata Banerjee, Subrata Bakshi, and Derek O'Brien alleging that they were responsible for the use of a morphed picture of Union Home minister Rajnath Singh and demanded their immediate arrest. BJP state spokesperson Joy Prakash Majumdar along with other leaders and party workers met Joint Commissioner (Crime) of Kolkata Police, Debasish Boral at the police headquarters in Lalbazar and lodged a complaint against the three TMC leaders. 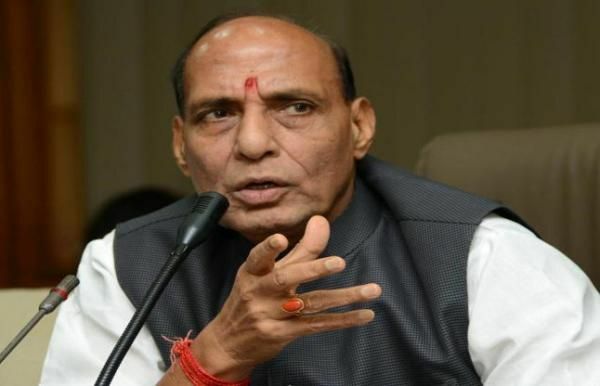 "Today, we have lodged a complaint with the Kolkata Police in connection with the morphed picture showing Union Home Minister Rajnath Singh offering sweets to CPI(M) leader Prakash Karat. "In our complaint we have held three - TMC party chairperson Mamata Banerjee, all India general secretary Subrata Bakshi and national spokesperson Derek O'Brien, who held yesterday's press conference, responsible for the entire episode and demanded their immediate arrest," Majumdar told PTI. "Derek O'Brien held yesterday's conference after he was instructed to by Mamata Banerjee. So it's clear it was whose brainchild," Majumdar added describing the incident as "unprecedented" in the history of the country's politics. "We have seen so many things happening in Indian politics but TMC has broken all records and stooped to such a low level," he said. Saying that the police is looking into the matter, Joint Commissioner of Police (Crime) Debasish Boral stated, "We have received a complaint from the BJP today. They have lodged a complaint with our Cyber Crime section. We are looking into the matter."